Your fault, my fault, nobody’s fault… it doesn’t matter. When a file you need is gone, all you really want to do is get it back: as quickly and as painlessly as possible. Deleted by accident? Formatted by mistake? Drive corrupted by the latest attempt at quadruple-booting? Plugged in the power to a non-hot swappable drive? Dragged a DVD across the gravel parking lot? Ran the USB key through the wash? We’ve heard, seen, and even done most of them, and along the way we have found a number of great tools to bring our data back from the dead. These 23 free data recovery tools run the gamut. There’s bound to be a tool in this list that can bring your dead data back too. As long as the drive is not physically dead, there is a chance. Try one of these tools out. With both free and pay editions, Recuva is an incredibly powerful tool for recovering data from Linux and Window partitions. 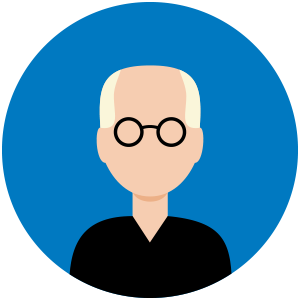 With support for all Windows versions from XP through Windows 8.1, this is a great tool to bring dead data back to life. It is one tool that has saved me multiple times over the years. 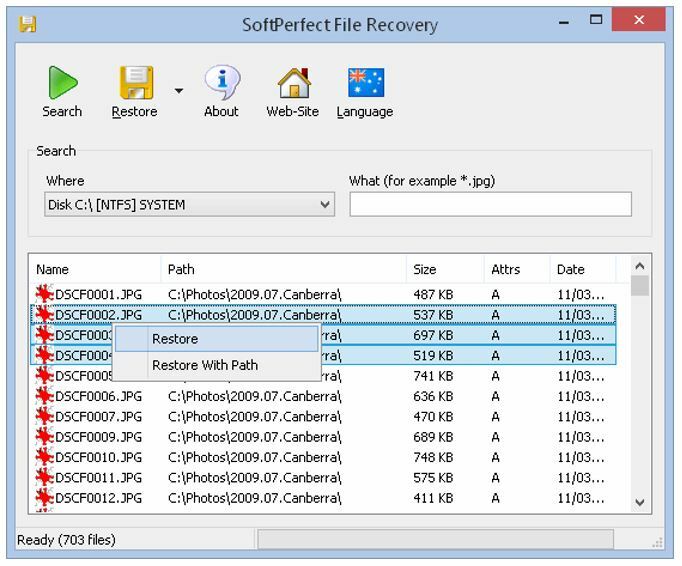 Completely free, PC INSPECTOR File Recovery is a great recovery tool for Windows systems. It can recognize data types even when the header is missing, so you can recover from deletions, formatting, or even total volume loss. 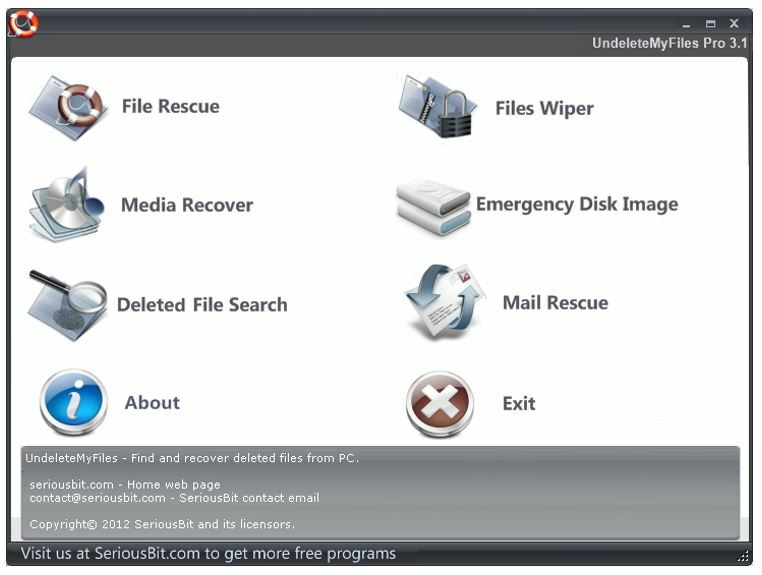 Also free, Smart Recovery is a tool focused on recovery files from external media, like flash drives and SD cards. It’s a bit older than File Recovery, but still works great and can handle proprietary file formats. 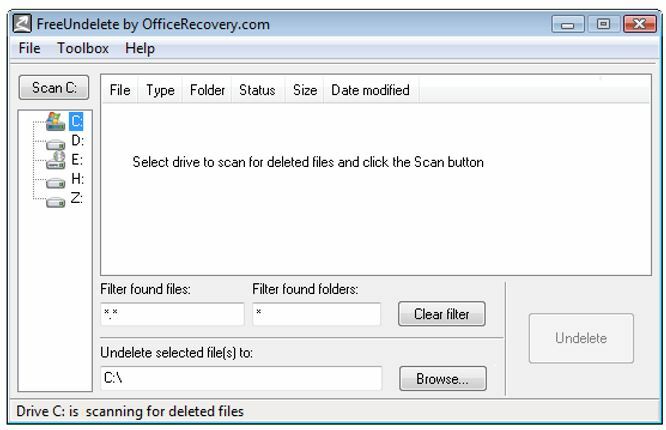 The name of this tool from OfficeRecovery says it all. It’s free for personal use, and it undeletes files that you have deleted, even if you SHIFT-DEL or empty the Recycle Bin. What it lacks in fancy features it more than makes up for in efficiency and simplicity. This suite of tools includes undelete, copy, raw copy, imaging, and boot sector repair. This is probably the first tool to try, as it can handle undeletes, deletes that bypass the Recycle Bin, formatted or corrupted files, lost partitions, and more. 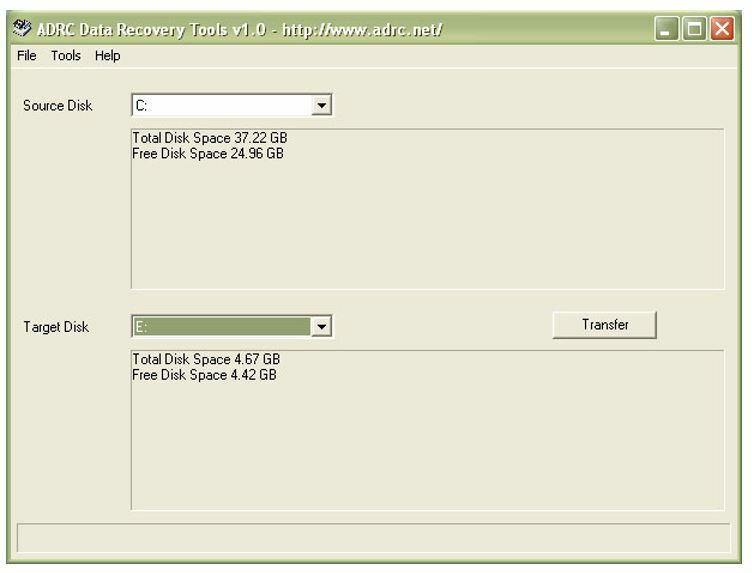 This tool can help you to recover a formatted or repartitioned drive in its entirety. It can also fix lost MBR and GPTs and can read from VMware virtual disk images. This tool can run on Windows and recover data from non-Windows file systems including Linux Ext#, UFS, EFS, and HFS+. 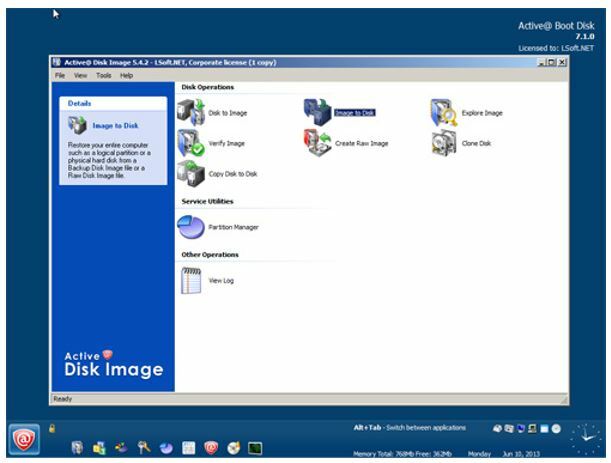 Built specifically for NTFS volumes, this toolkit includes a disk editor, partition manager, and recovery tools. It also has great instructions on how to use each tool. For all your external drive needs, Unformat can recover entire disks including external USB, thumb drives, and SD cards that you’ve accidentally deleted. 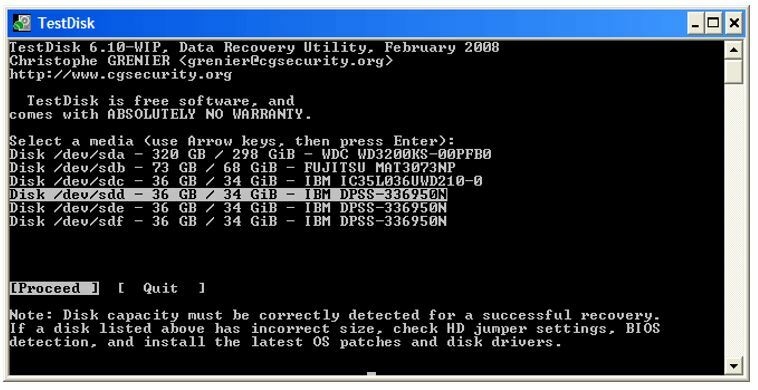 This tool can be used to recover data lost due to damaged, formatted, or deleted partitions and includes several other tools including a partition manager, a disk monitor, and more. Sometimes the data is not lost; it is just inaccessible because the operating system won’t boot. This tool is a bootable operating system image that can be used to gain access to the hard disk when the installed operating system won’t boot, so you can copy off data to external media before reinstalling. 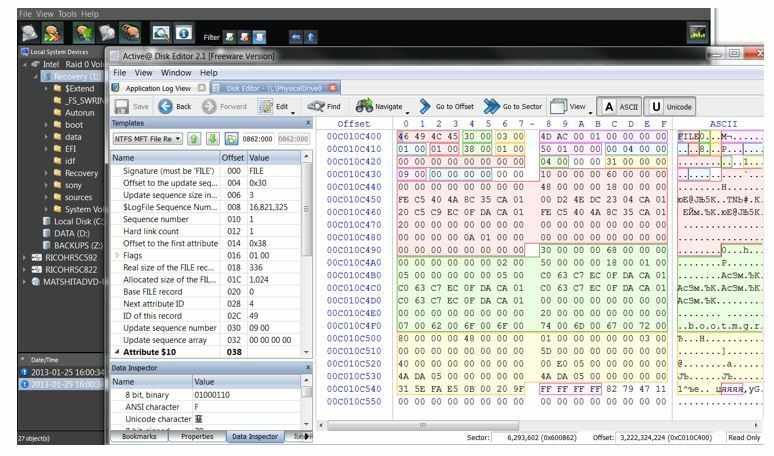 A multitasker that includes a disk editor, imaging software, encryption and checksumming, format converter, and more. It is more targeted towards investigation and forensics than simple data recover, and has several different levels of licensing, depending upon required features. It has an evaluation version that is free to try for as long as you need. Software designed to recover lost partitions or repair drives that are no longer bootable. It can repair most file systems (NTFS, FAT, EXT) and also recover data from deleted partitions. OpenSource, it can run under most versions of Windows, Linux, BSD, and Mac operating systems. It also can be deployed as a bootable image to recover from unbootable systems. 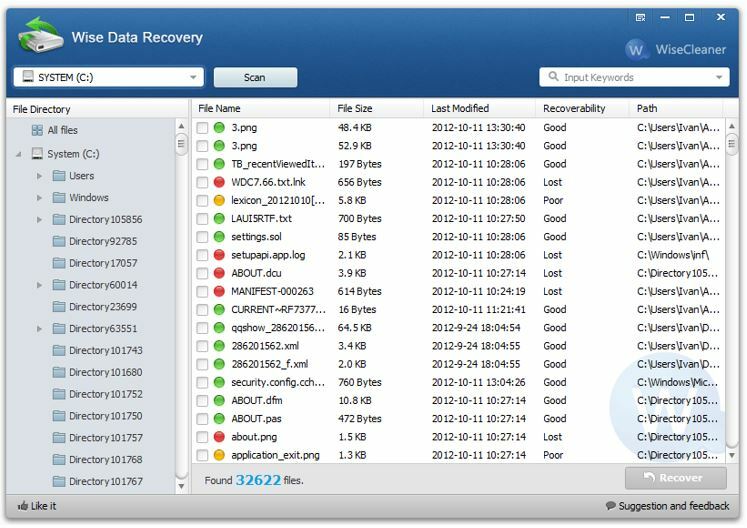 A freeware application to recover data from hard drives and removable media. It is simple to use and fast to find data, making it an excellent choice when you need your files back quickly. This tool can recover data that has been deleted, formatted, or from drives that have been corrupted. The free version has a 2GB cap, but often the data you are trying to save is much smaller than that, so most users can do a lot with a 2GB trial. It has both Windows and Mac versions. This tool offers hope for mobile devices too, with a free data recovery tool for both iOS and Android platforms. This app can recover specific data types from iOS devices and most files from Android devices. 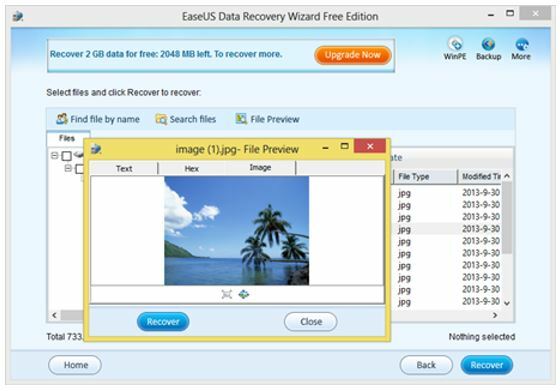 Also from EaseUS, this tool can restore deleted files from FAT and NTFS partitions on fixed and removable media. It is a self-contained executable and runs on everything from XP through Windows 8. 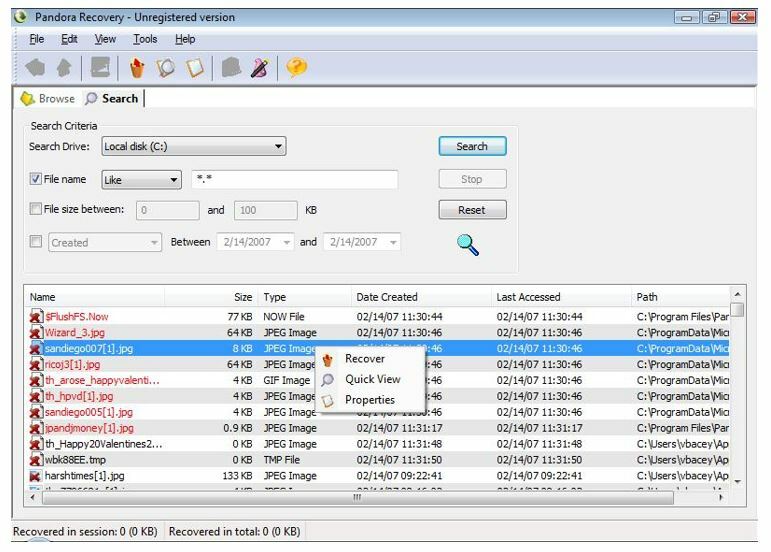 This tool can read files from damaged physical media, like corrupted flash or scratched optical drives. If your operating system can show the files, then this tool will read them off, ignoring any bad sectors to recover as much usable data as possible. Another tool that goes after deleted files and brings them back from the dead. There is a portable version that can be put on a flashdrive or bootable disk like BartPE, and it supports both FAT and NTFS partitions. Designed to recover data from damaged CDs and DVDs. If they are scratched or smudged or faded, but there is still some readable data on the disk, this is a tool that can bring back as much salvageable data as possible. It may sound like a pay-for edition, but it is absolutely free and comes with a collection of tools for data recovery, including File Rescue, Media Recover, Deleted File Search, Emergency Disk Image, and Mail Rescue. 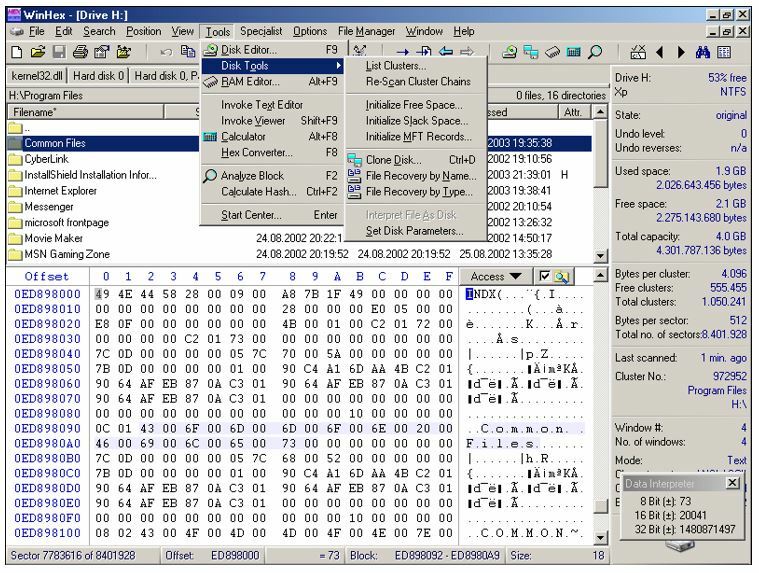 It also has a secure file wipe utility, showing it plays both sides. While all of these are great and free tools for recovering data, there are many more out there. Do you have a favorite we missed? Leave a comment and let us know which tools you like the best. Or if one of these has saved the day for you, let us know! You may try this data recovery. I used to use it to recover my lost data after my system re-installed. It works pretty well, you may give it a try. 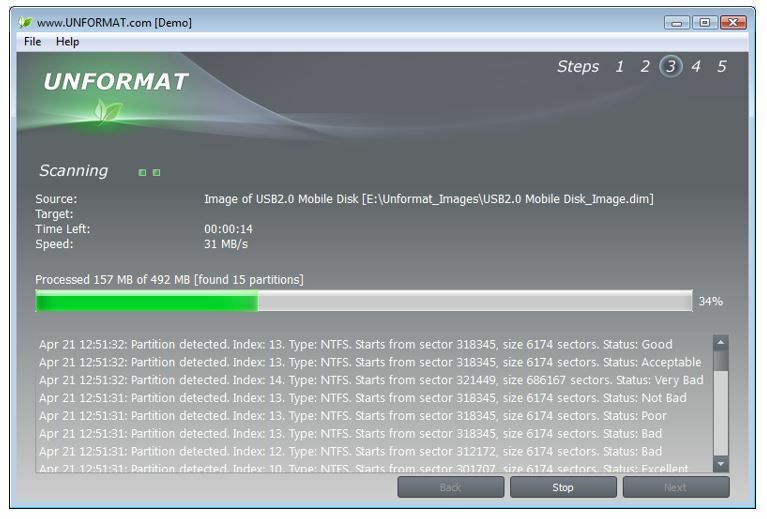 Here you explain about 23 free data recovery software, It is truly helpful to all. I wish you post this type of information in furthermore. Good list! Any recommendation for paid versions if I want something more pro? I was in search of one or two External Hard Drive Data Recovery tools and this post shares such a huge variety of them amasing, seems almost like a jackpot to me!!! None of these programs are FULLY functional as is. They are demos, trial wares, crippled ware. One of them, testdisk, is so cryptic it’s unusable. They are a waste of time if one is looking for actually free FULL FEATURED UNLIMITED PROGRAMS!!! Not one of them will get your files back in their entirety with names without asking you to upgrade or pay for a registration key. Some limit the amount of data or number of files you can get without buying a “Pro” or some other BS. This article is titled and comes up under FREE tools. How about free tools that will do your job instead of these trials and demos. I have a disk drive that needs recovery. Looking through all these bogus tools has been a total waste. What ever happened to FREE that works without having to buy anything else instead of attempts at being tricked into trying any of these???!!! Sorry to read you’re in such a bad state, Disgruntled. Software authors have to make a living, and they do charge for the full set of features. I personally used Recuva just a few days before writing this article to recover an entire drive of data, and paid nothing for it, but if neither that nor any of the other tools are working for you, you may want to go to the next level and use a Linux live boot CD with disk tools to see if you can recover more data. SystemRescueCD is purpose built for this http://www.sysresccd.org/SystemRescueCd_Homepage and HowToGeek has a great article on using Ubuntu to do the same thing at http://www.howtogeek.com/howto/15761/recover-data-like-a-forensics-expert-using-an-ubuntu-live-cd/. Hopefully one of these will get you where you need to be. Good luck! I totally agree with Disgruntled – the developers have to make money – but be upfront and disclose that free means only 2 mg file recovery is free – rest you have to pay. Usually when you lose a drive there are a few Gigs you have lost or have been corrupted. So instead of going thru the list of 30 or 50 or 500 dishonest providers, I would prefer an honest one who says ” One time charge of $9.99 for data recovery of three drives not exceeding ……………say 100 mg or 100 Gigs – etc. So now I know the charge and the limitations up front instead of downloading and running … and then after an hour of wasted effort – that I was not interested in the deal. JUST BE HONEST UPFRONT ! Freeware is – ABSOLUTELY FREE! Not time limited, does not expire. Not a DEMO – partially disabled program until purchased. 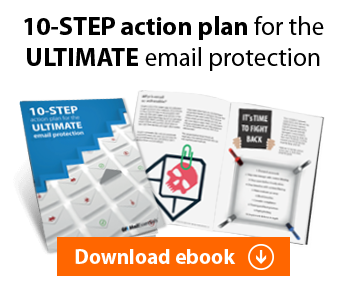 Not limited ware – will only do part of the job unless purchased. Actually free, full featured, unlimited usage, unlimited output, with NO constraints. Anything less is not actually freeware. And you’re right. Freeware is absolutely free and without restriction. I only called one of these apps Freeware-Wise Data Recovery. All of these apps offer some functionality at no charge, and that is where the “free” in the title comes from. Some of the titles are free with limitations, others have both limited free and pay-for editions. I tried to call that out in each description. The Ubuntu distro is free as in beer and speech, which is still not freeware, but it should get you going if anything outside of professional recovery services will. Check out the HowToGeek article and we’ll hope for the best for you. Again, good luck! This is the best list of Data Recovery tools. There are people who are looking for these tools and some of them are looking for services of data recovery. 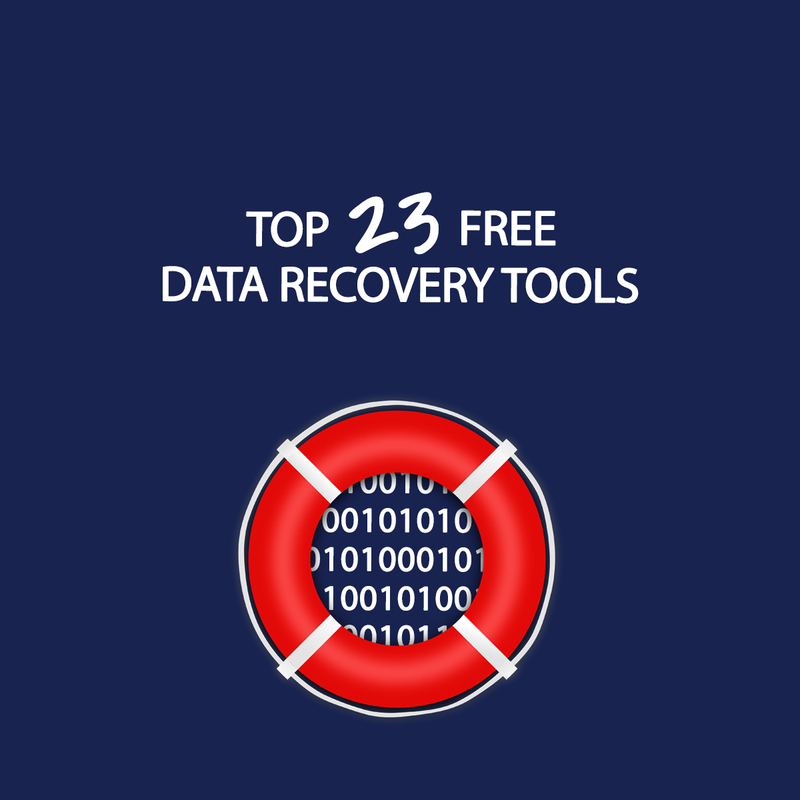 I’m really impressed that you found 23 tools for data recovering, on other blogs I just found 4 or 5 tools. 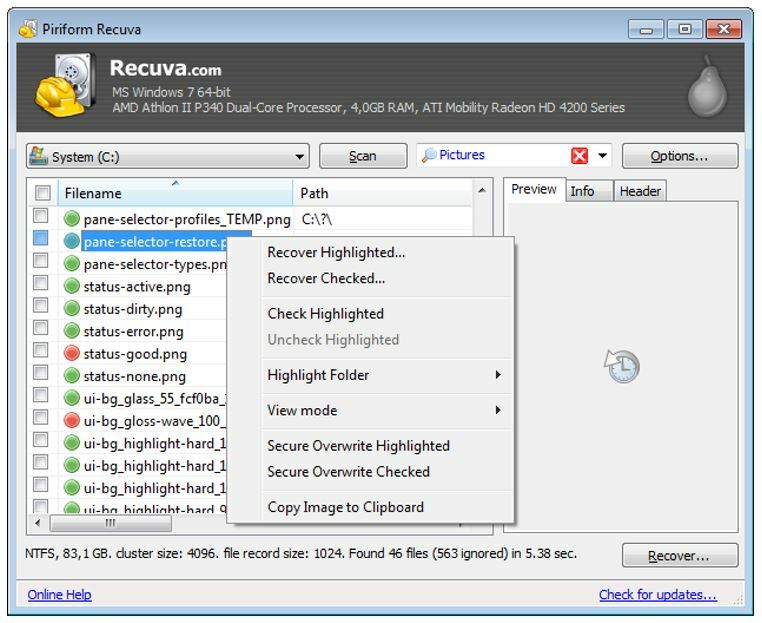 Anyway Recuva is best free tool among all, it’s also working for USB drives and to some extent it’s useful for iPhone too.